I was blessed to have been invited by the kind folks to The Westin Singapore to review it's services when it just opened. Posted in Reviews, Singapore Hotel Blog, Singapore Lifestyle Blog, Singapore Staycations, Singapore Staycations Blog, Singapore Travel Blog, Sponsored, Staycations, Staycations in Town. Tags: Best Staycation Deals Singapore, Best Staycation Hotel, Best Staycations in Singapore, Blog review on The Westin Singapore Staycation, Heavenly Bed, Heavenly Bed Westin Singapore, Hotel promotions, singapore lifestyle blog, singapore lifestyle blogger, Singapore Staycation, Singapore Staycation 2014, Singapore Staycation Deals, Singapore Staycation Ideas, Singapore Staycation Offers, Singapore Staycation Package, Singapore Staycation Promotions, Singapore Staycation Review, Singapore Staycations, Singapore Staycations Blog, Singapore Travel Blogger, Staycate, staycation, Staycation Ideas, Staycation in Westin Singapore, Staycation promotions, Staycation reviews, Staycations for Couples, Staycations in Singapore, Staycations in Singapore promotions, The Westin, Things to do during a staycation, Westin Singapore, Where to stay for Staycations in Singapore on March 23, 2014 by nadnut. As mentioned in my previous post, I had arranged for a casual photoshoot with Express-Oh! Photography when i was planning for my Singapore Staycation. My makeup artiste Cindy from Colorpots also came to help out! Do take note that photoshoots are typically not allowed. Do ask for permission before doing so yeah? KS helped to take some gorgeous pics of the lovely room we stayed in! I think my pictures in my previous post did not do the room justice at all! KS took some pictures of Cindy dolling me up! I'm really comfortable working with Cindy now. She knows my style and we always have such a fun time talking and gossiping over everything! I'll be using her for my wedding dinner (aka #project1314). Here's the actual hairstyle! Pics taken from my camera phone! Check out her works at https://www.facebook.com/colorpotsmakeup. If you’ll like to use her, quote Nadia/nadnut to get 10% off bridal makeup! Offer valid till December 2013. Cindy is offering personal makeup classes at S$250 per student! You'll need a minimum of 2 students to start, perfect to go with your BFF! Quote Nadia/nadnut to enjoy 10% off Cindy's Personal Makeup Class! Sign up with your girlfriend to enjoy 20% off per student! Call her at 9746 3120 if you have any queries! Back to KS's pics! We decided on a casual shoot without any props. Just wanted to make use of the beautiful architecture of Crowne Plaza Changi Airport! Do take note that while you can request for a pool-access room (which is available for Club level rooms), it is however subject to availability. I would also recommend that you top up S$20++ (per pax) to change your breakfast to a lovely brunch instead. Sleep in a bit and enjoy brunch at 12.30pm onwards! I always dread waking up early for breakfast as I want to snooze a bit more! This brunch package is perfect for me! Book The Rejuvenating Weekend Getaway Package now! As it’s a staycation, it is valid for Singapore residents only and is subject to availability. It is also not valid for themed and festive promotions. Visit this link to book it now. For information and reservations, please call 6823 5388 during office hours or email reservations@cpchangiairport.com. Venue: Crowne Plaza Changi Airport. Posted in Beauty, Hair, Lookbook, Love, Makeup, Pictures, Reviews, Singapore Staycations, Singapore Staycations Blog, Sponsored, Staycations, Staycations in the East, Wedding, Wedding Photoshoot. Tags: Best Staycations in Singapore, Casual photoshoots, Crowne Plaza Changi Airport, Crowne Plaza Staycation, Crowne Plaza Staycation promotion, engagement shoots in Singapore, Express-Oh! Photography, Hotel promotions, Makeup artiste in Singapore, prewedding shoots in Singapore, singapore lifestyle blog, singapore lifestyle blogger, Singapore Staycations, Singapore Staycations Blog, Singapore Travel Blogger, staycation, Staycation promotions, Staycation reviews, Staycations in Singapore, Staycations in Singapore promotions, Staycations in the East, The nad reviews, wedding photography, Where to stay for Staycations in Singapore on September 21, 2013 by nadnut. The kind and lovely Carrie from The Cambelles called me up one day and gave me an awesome piece of good news. Crowne Plaza Changi Airport wanted to host the c(hubby) and I for a lovely staycation experience. This piece of good news came at exactly the right moment. I was planning for a casual photoshoot with KS from Express-Oh! Photography and was fretting over where to take our pictures. We had wanted to shoot at Downtown East but I heard that the Ferris Wheel was out of service for an indefinite time and thus we decided to skip the place. I was also excited as the hubby's birthday was approaching and as per our yearly tradition, we always spent every of his birthday in the true Singaporean style. A Singapore Staycation! I pay for at least 90% of my Staycations and I was extremely honoured to be hosted by the lovely Crowne Plaza! The hubby and I go for about 3 staycations a year! His birthday, my birthday and our anniversary! Any excuse to indulge and we will! I have tried many staycations in Singapore before. We had a girly staycation, birthdays staycations and even just staycations just for fun! What are your criteria when selecting a staycation? Did Crowne Plaza met my very high expectations? Let's see! Crowne Plaza Changi Airport is well located at... Changi Airport. Most people may know this... Lao niang stays at Bedok! Bedok to Changi Airport is so near! Ding ding ding! Aside from the close proximity to my place, Crowne Plaza is extremely easy to get to. We took a train from Bedok to Changi Airport! It's located at Terminal 3 and is only 5 minutes away from the MRT station! I had meals at Azur plenty of times before. Azur with Fidelis and the boys, CNY food tasting at Azur and Azur's New Weekend Brunch Menu. I knew what to expect from Azur and was extremely looking forward to the yummy food! I MUST MUST MUST have a bathtub. I always make a point to have a long good soak. As you can see from the pictures below, Crowne Plaza Changi Airport has a lovely bathtub. I had forgotten to bring my bathbombs that I made a detour and went to Suntec City (from Changi Airport!) just to buy a bathbomb. Yes. Addicted I am. Some pictures of the lovely and spacious deluxe room with ensuite bathroom which was equipped with luxurious standing rainshower and separate bathtub before I continue on my other criterias! Peekaboo concept. I can soak while watching television! A nice swimming pool will guarantee that I go for a dip. I let the pictures do the talking here. HOW AWESOME IS THIS?! POOL ACCESS ROOM BABY! Lovely swimming pool. So pretty! Thank you for the lovely fruit platter Crowne Plaza! The hubby and I nommed away while relaxing near the pool! I was first introduced to Club Lounge facilities in another Staycation in Singapore. And after that, I got extremely addicted. I loved the quiet solitude and personalised service at Club Lounges. All day coffee, tea, juices, mineral water, soft drinks and a selection of cookies available. Complimentary use of Club Lounge internet workstation or meeting room for 2 hours daily. Complimentary business services such as photocopying and facsimile (Limited quantity). How NOT to love Club Lounge facilities? Enjoying a beer, relaxing with some canapes to a lovely view. We had the time of our lives at our little staycation at Crowne Plaza Changi Airport! I will be blogging soon about: The casual photoshoot and my meals at Crowne Plaza Changi Airport! But in the meantime, do consider Crowne Plaza Changi Airport's Rejuvenating Weekend Getaway promotion! Do take note that while you can requests for a pool-access room (which is available for Club level rooms), it is however subject to availability. Book The Rejuvenating Weekend Getaway Package now! As it's a staycation, it is valid for Singapore residents only and is subject to availability. It is also not valid for themed and festive promotions. Visit this link to book it now. ?For information and reservations, please call 6823 5388 during office hours or email reservations@cpchangiairport.com. Thank you Crowne Plaza for hosting us! And for the lovely birthday cake! As it was a pre-birthday celebration, they sent over a birthday cake.. so I took the opportunity to post it up today.. which is C(hubby)'s birthday! The little terrorist turns 29! Posted in Announcements, Life and Fun, Love, Singapore Lifestyle Blog, Singapore Staycations, Sponsored, Staycations. 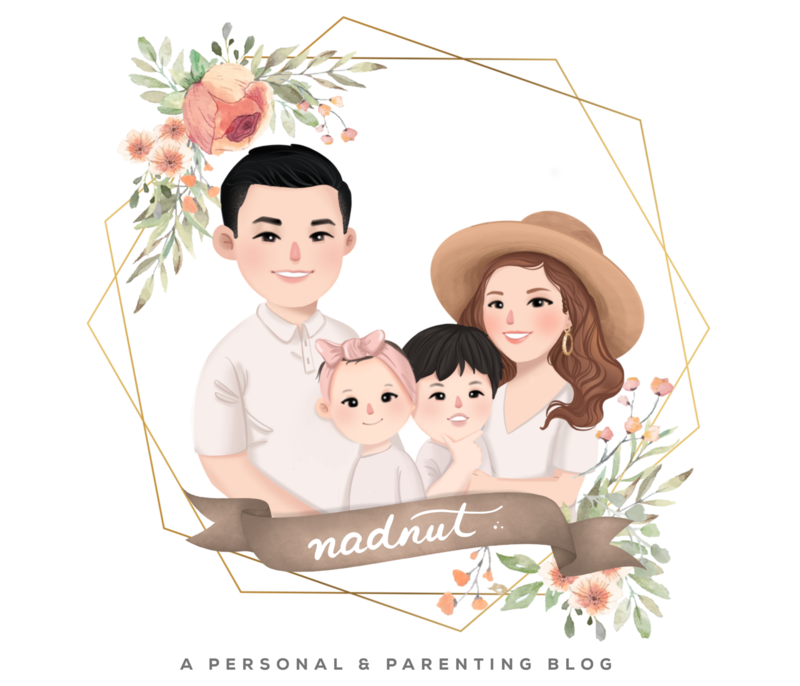 Tags: Best Staycations in Singapore, birthday celebrations, Birthday Staycations, Crowne Plaza Changi Airport, Crowne Plaza Club Lounge, Crowne Plaza Staycation, Crowne Plaza Staycation promotion, Hotel promotions, singapore lifestyle blog, singapore lifestyle blogger, Singapore Staycations, Singapore Staycations Blog, Singapore Travel Blogger, staycation, Staycation promotions, Staycation reviews, Staycations in Singapore, Staycations in Singapore promotions, The nad reviews, Where to stay for Staycations in Singapore on September 11, 2013 by nadnut.